If you’ll remember, the whole reason we had decided to go ahead and visit South Dakota was because our niece was getting married in Wisconsin in July. We had a few weeks of “free” time and needed to get our new driver’s licenses anyway, so making a trip that seemed quite far out of the way actually made perfect sense. What didn’t make sense was backtracking all the way back across the state, along the same highway, to get to Racine, Wisconsin in less than 2 weeks. So what did we do? 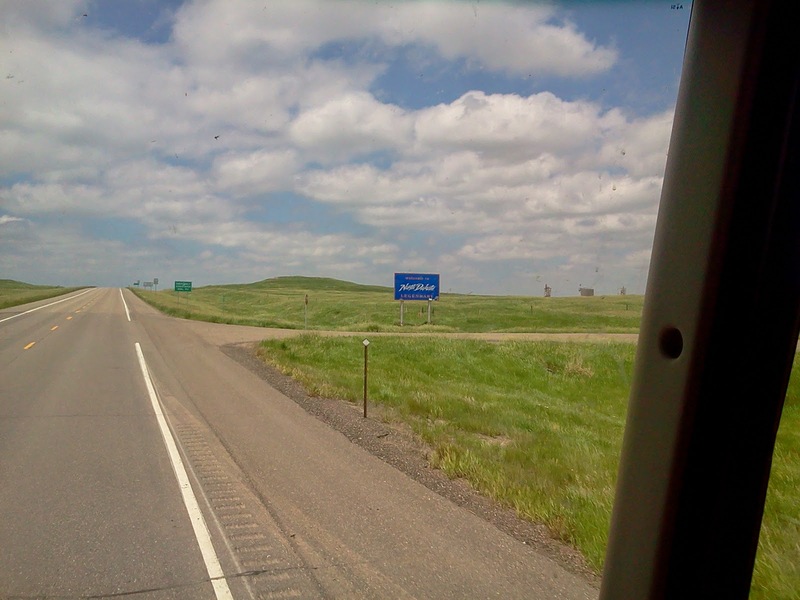 Why, we decided to see what North Dakota had to offer…(after all, we really couldn’t foresee any other reason a person would willingly go there). Hmmm, it’s not much of a sign…and the landscape seems a bit sparse. Well, I can now tell you about one very clear and undisputed reason to go to North Dakota. 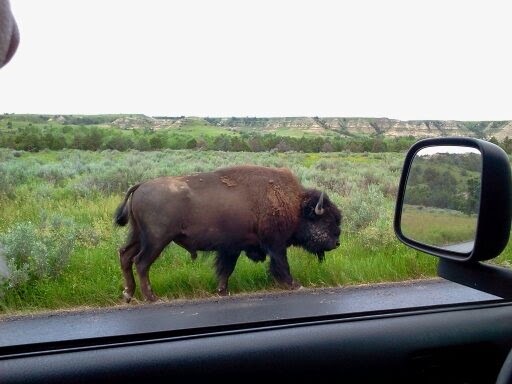 Theodore Roosevelt National Park. Amazingly enough, this was written in the early 1900’s by Theodore Roosevelt…have we heeded his words? President Teddy Roosevelt used his authority (the 1906 American Antiquities Act) to protect 230,000,000 acres of public land. 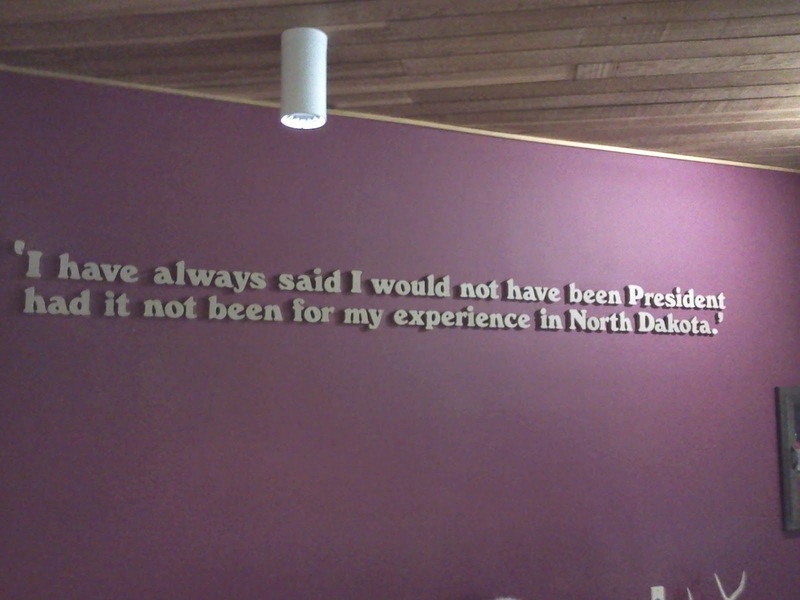 His visit to the North Dakota Badlands had a huge influence over his life…and presidency. So, as you can see, it should be high on your list of places to visit. Who woulda thunk that there would be such beauty and awesomeness in a land so remote? All I really knew of North Dakota was oil fields, crowded RV parks (due to the oil fields) and Minot (a place the Air Force sends people as punishment, I’m sure of it). I also knew that winter temps have reached as low as -60 F (average winter temperature is 12 F). I lived in Alaska where below zero temperatures are not uncommon in the winter (average winter temperature is 2 F). I have no desire to experience that again. But July, now that’s a great time to visit. Temperatures in the 70’s and 80’s (F), flowers in bloom, trees rapidly growing and leaves stretching for the sun they only have access to for a few months, baby animals gaining strength in preparation for the winter to come…and blue skies for days. Part of the reason for so much awesomeness was our camping spot. 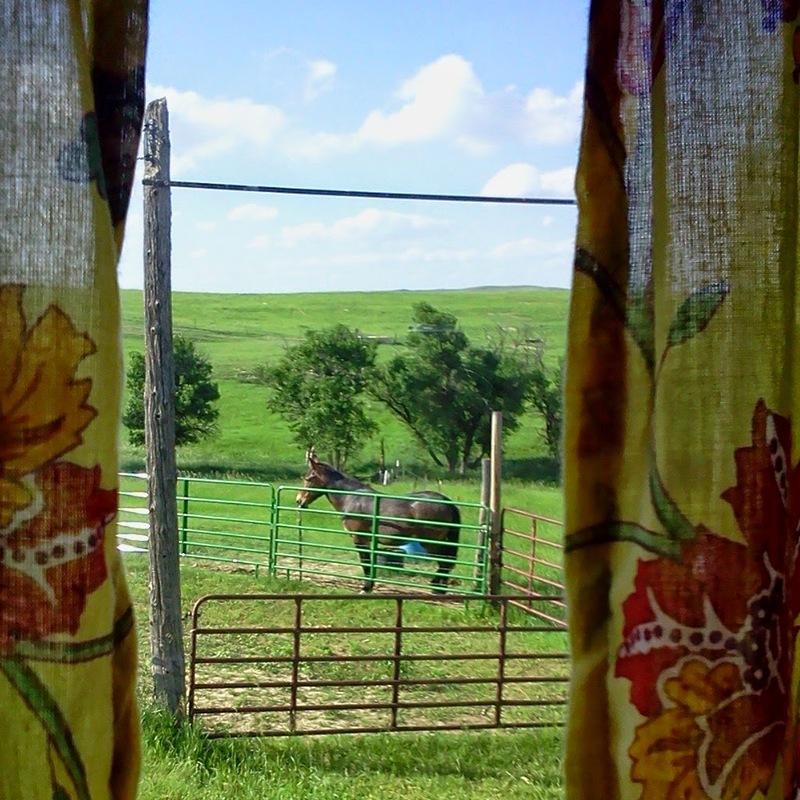 We opted to stay outside of Medora (the nearest town to the national park) because how often do you get to camp at a real life dude ranch? The Mutiny parked at Buffalo Gap Guest Ranch, with Theodore Roosevelt National Park in the background. 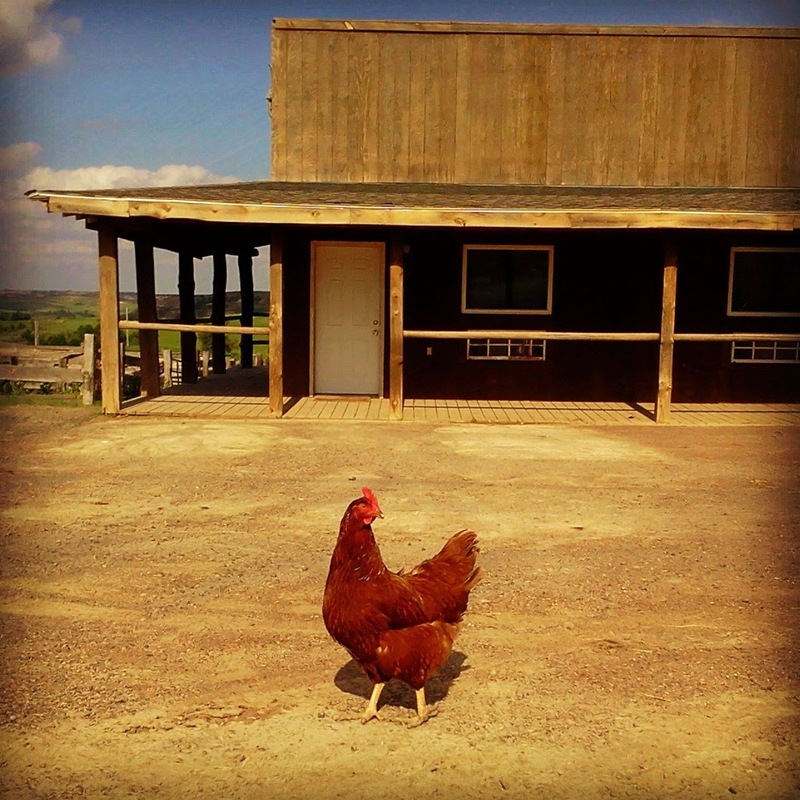 Showdown with the Rhode Island Red, fastest layer at the guest ranch. Buffalo Gap Guest Ranch & Trail Head is one of the most unique camping spots we’ve had to date. While it may not be everyone’s cup of tea, it was right up our alley. The ‘motel’ part of the ranch was set up to look like a street in the old west. There was a bar and restaurant at one end and a barn at the other. The RV parking was across from a large riding arena where they host team roping competitions. 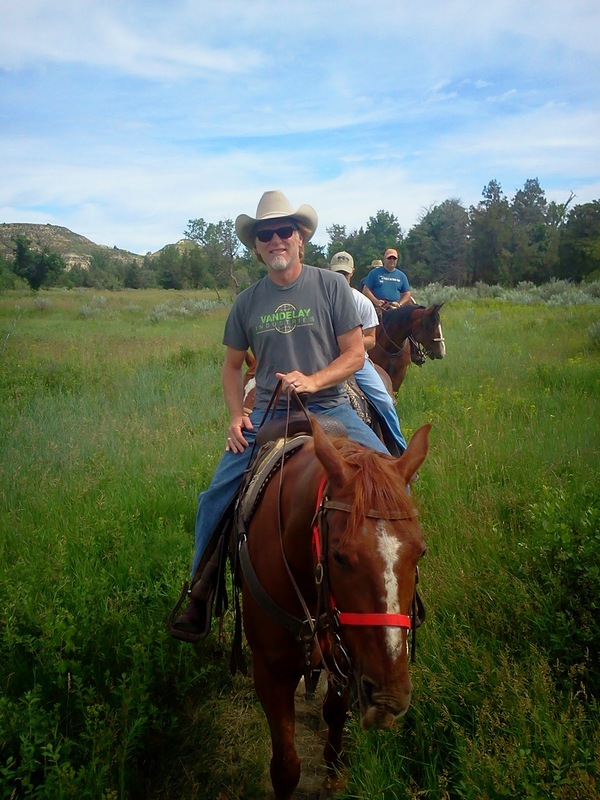 You can also bring your horse (or mountain bike) which you can ride on trails that give you access to the national park. The view outside of my window. Did I mention it has an onsite bar? 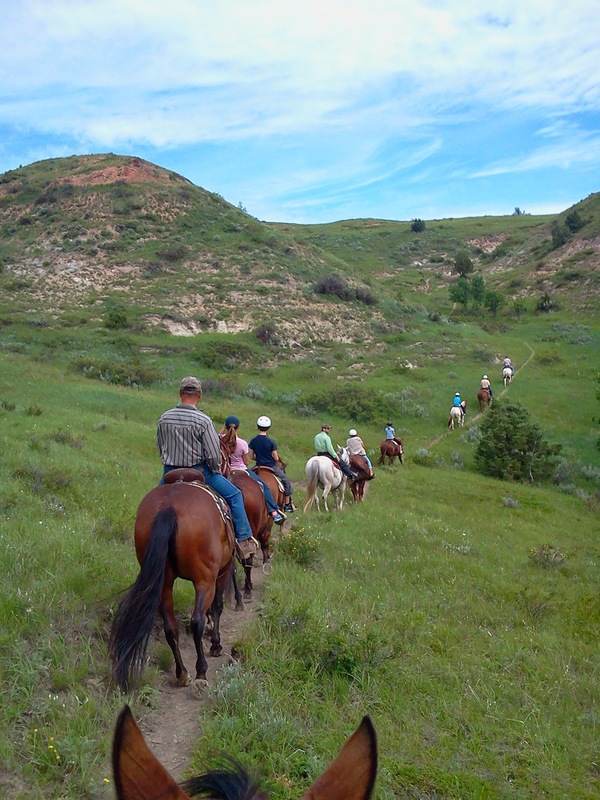 The town of Medora is nearby and offers shopping, golfing, historic hotels and even has it’s own musical. 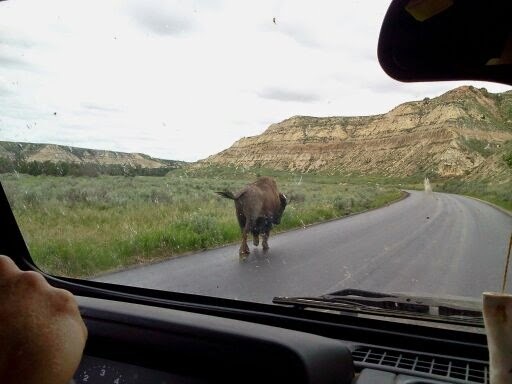 But truly, the highlight was Teddy Roosevelt National Park. As I look back through the pictures, trying to figure out the best ones to post here I am reminded of my deep love for this park. It just may have passed upmy beloved Death Valley for the rank of “favorite”. As do the prairie dogs. You can see why this is also called the “badlands”. Wild horses inside the northern unit. More wild horses (and my current cell phone screen saver). A herd of wild horses on the ridge. Now that’s a BIG guy! 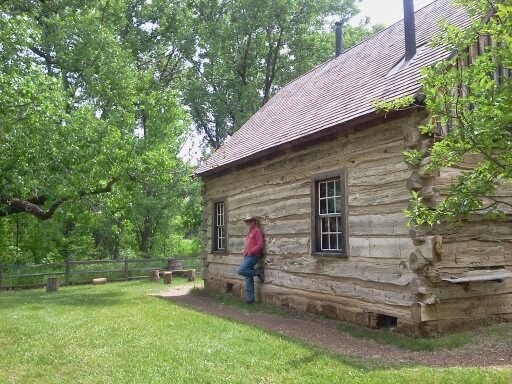 Teddy Roosevelt’s cabin at Maltese Cross Ranch. I thought slow traffic was supposed to move to the right? Obviously, I couldn’t get enough of the wild horses. Clark is having flashbacks of his many summers on the ranch in Sonoma. 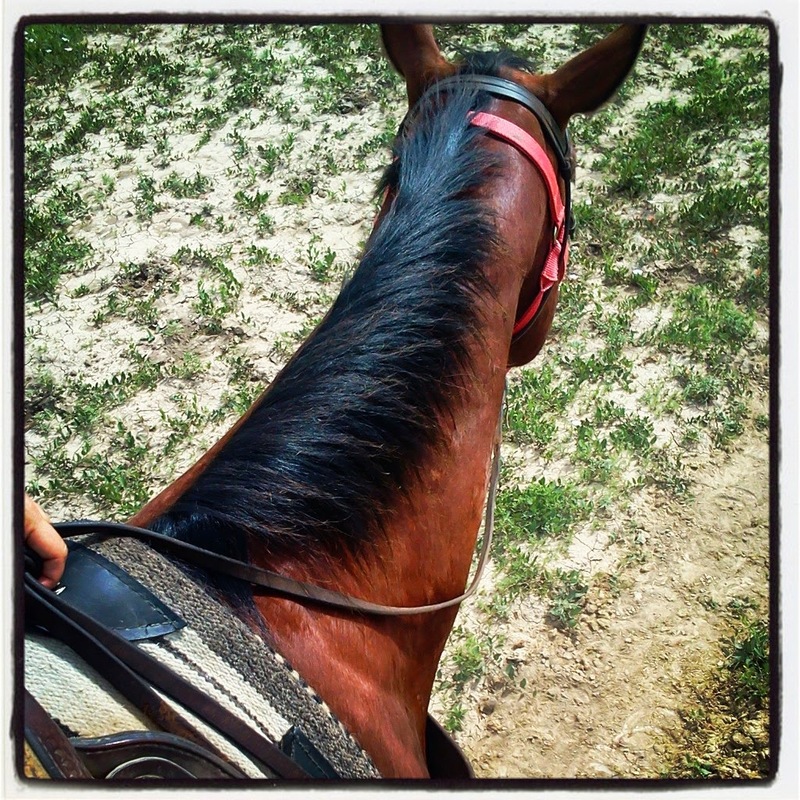 The guy in front of me (these are my horse’s ears) was one of the tour guides. I thought it only appropriate to sneak a picture of him too. We actually did ride some steep terrain for a trail ride. I used to be a trail guide in the Pocono Mountains and none of our trails were this ‘interesting’. My trusty steed was never bothered by my picture taking. Whoops, looks like Clark brought his phone too! Beautiful trails and so cool to be in the back country. 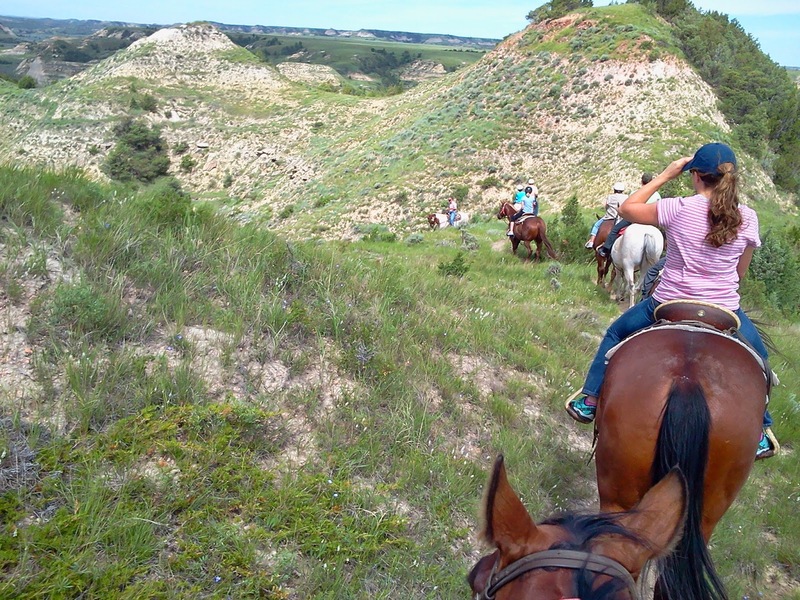 There are three sections to Theodore Roosevelt National Park, the North, South and Elkhorn Units. 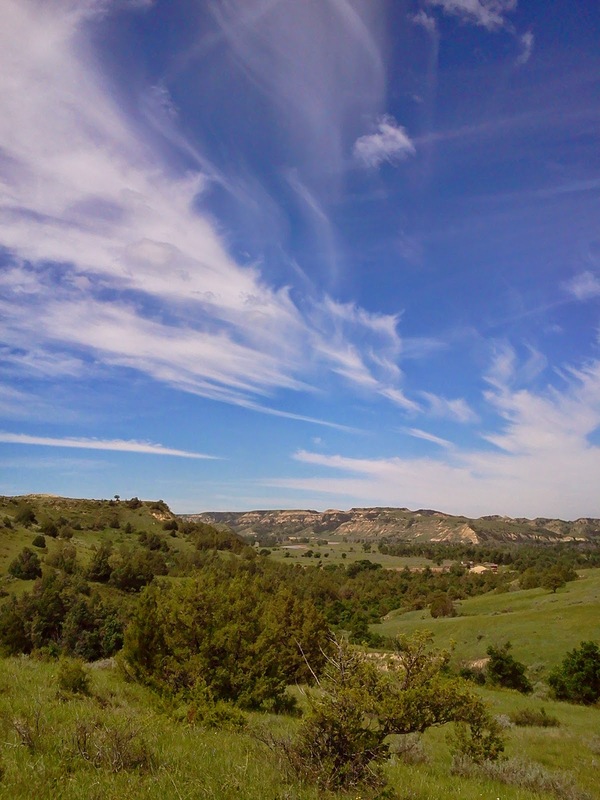 The south unit is the largest (and where all of the above pictures were taken), Elhorn is about 35 miles further north and the north unit is 70 miles of Medora. We went to the south and north units. Both are unique and if you have the time you should definitely see both (and Elkhorn if you are so inclined). Clark resting at a gorgeous overlook after a long drive to the North Unit. I’m afraid the pictures and descriptions just don’t do this area justice. It is unbelievably beautiful and unique. 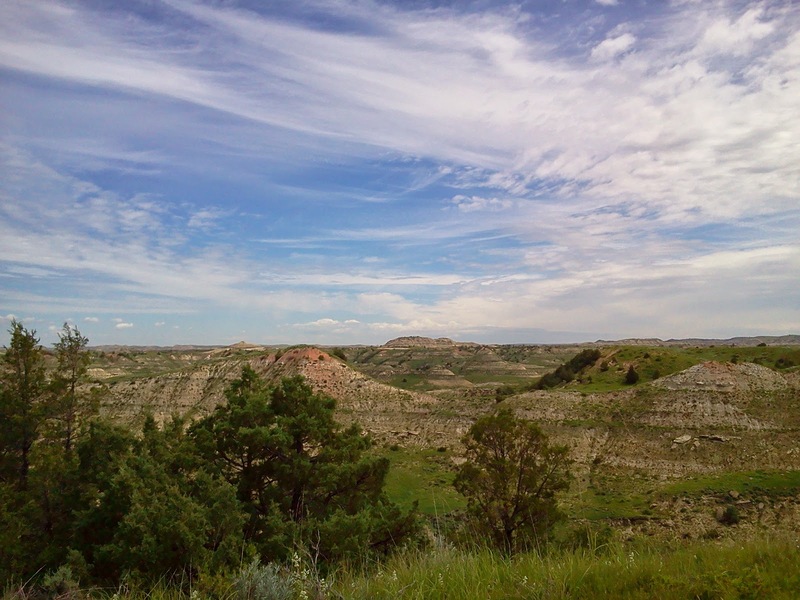 Even with the similarities with the Badlands of South Dakota, these formations are vast and interspersed with grasslands and much more wildlife. The smell of sweet grass is like no other…and yes, I wanted to bottle it. The closest I got was buying some scented wax for my burner and it’s just not the same. 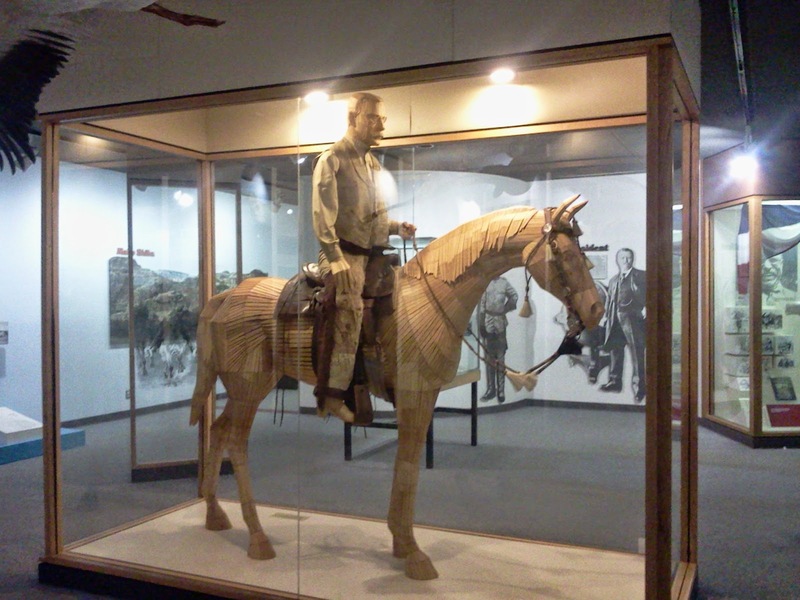 Although we haven’t yet been to some of the other “biggies” as far as National Parks, Teddy Roosevelt is a place to be seen. It’s worth every mile. Tales From the Mutiny selfie! Great blog and pictures! Glad you snuck your phone on the horseback ride. We will have to make that a stop someday! Wow, just like being there! Ill have to put in the list if go to's! Oh yes, this are is a MUST see and most people (I'd guess) don't know about it so it's not crowded like some other parks (like Yosemite). And it's still "kinda" close to Devils Tower and the Black Hills. I hope you love it as much as we did. Thanks Betsy! I didn't realize you were a native to N.D…for some reason I thought it was Florida. You're very lucky because this state is so beautiful…I could take pictures every day. We are full timing and just a little bit behind you. We are currently at Wind Cave National Park. 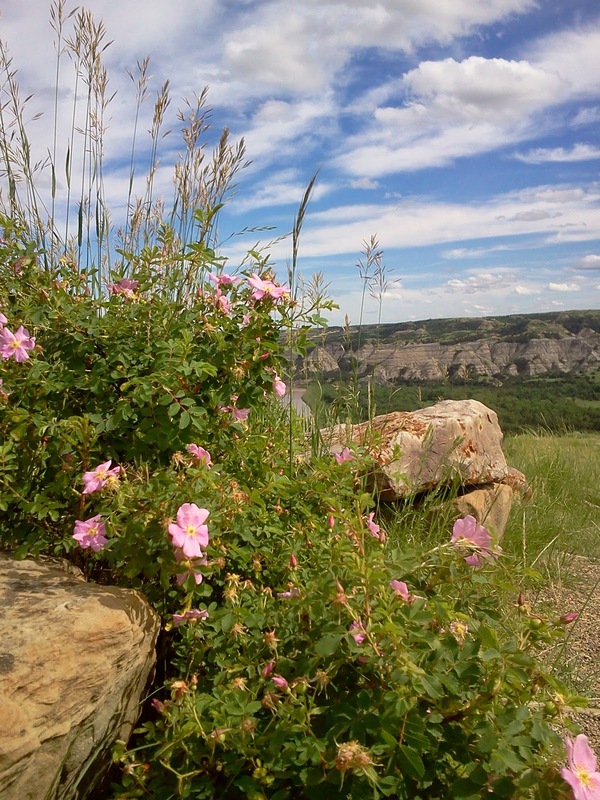 We will take your advice and be sure to visit Theodore Roosevelt National Park.